Everyone is playing the mobile smash, but some people aren't doing it right. 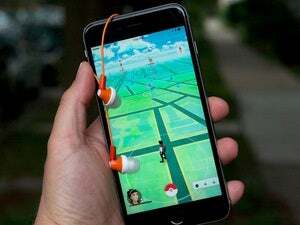 Most mobile games can be played quietly and anonymously in the privacy of your own home, cubicle, train seat, or bathroom stall—but Pokémon Go isn’t that kind of game. With physical movement as a primary gameplay mechanic, the Nintendo favorite is getting millions of people out and about and exploring their neighborhoods. Obviously, there’s good in this: People are walking more, socializing with mostly-friendly strangers, and even overcoming anxiety and depression by leaving the house. All of those are tremendous benefits, and it’s awesome to see people getting so much out of the game. On the other hand, some folks are completely blowing it. Keep your eyes on this screen the whole time and you might miss, say, the hill that falls into the river. Or, perhaps, a cliff’s edge that drops 90 feet to a beach. I’m not talking about the multiple people who have found dead bodies while Pokémon hunting; while unsettling, it’s not like they did anything wrong. I’m talking about people who are negligently, dangerously, or inconsiderately playing the game, and in the process putting themselves and others into harm’s way. 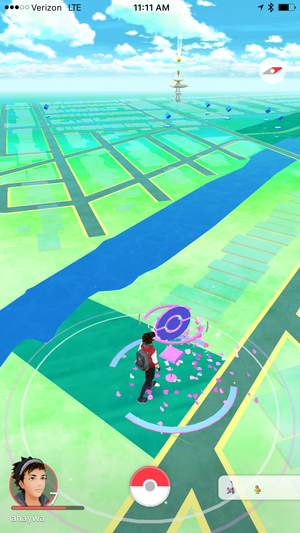 Pokémon Go is addictive, but it’s certainly not worth dying over. With that in mind, here are several early examples from around the country of things you definitely shouldn’t do while playing Pokémon Go. Be safe out there, trainers! Don’t walk off a cliff: One word: Ouch. On July 13, a couple of young men who were super excited about catching Pokémon found themselves on the wrong end of a 90-foot drop. It happened in Encinitas, California (outside San Diego), and both fell off of a beachside cliff while playing. One dropped the entire distance down to the beach below, while the other was found about 50 feet down. Both were taken to the hospital with unspecified injuries, and one was suspected to be under the influence of alcohol when it happened. In any case, it’s a helpful reminder: Don’t hunt too close to any cliffs, and especially not when you’ve been day-drinking. Don’t turn yourself in to police: I had to triple-check to make sure this wasn’t an Onion article. 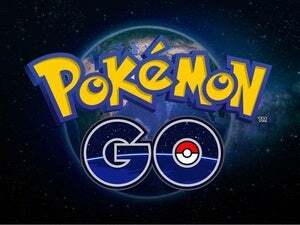 In Milford, Michigan on Thursday, a man with an outstanding arrest warrant hopped on his bike and cruised down to the police station to try and capture a Pokémon Go gym at the location. Instead, officers captured him. 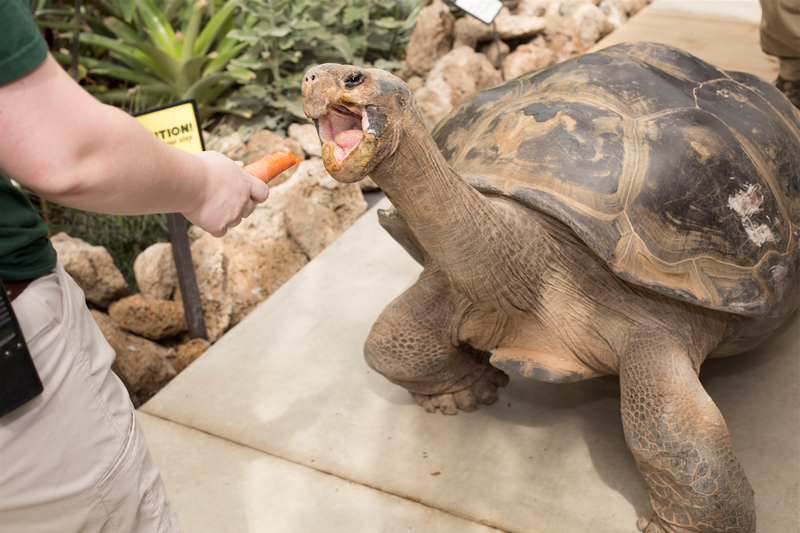 This is Emerson, the Toledo Zoo’s Galapagos tortoise. Note: he is not a Pokémon. Don’t break into a zoo: Believe it or not, the monsters in Pokémon Go are located everywhere—you don’t have to go to your local zoo to find them. That point was apparently lost on Robin Bartholomy and Adrian Crawford of Toledo, Ohio, as the pair hopped a fence and broke into the Toledo Zoo in the middle of the night to try and find some rare Pokémon. Now they’re banned from the zoo and facing criminal trespassing charges, but they don’t seem terribly fazed by the harsh response to their overnight visit. “It wasn’t the most responsible thing to do, but hey, gotta catch ‘em all,” said Bartholomy to the Toledo Blade. They have both since plead not guilty, which seems slightly incompatible with the previous statement. Don’t play and drive: I’m sending this story to everyone I know, because I understand the compulsion: you want to catch all of the Pokémon. I get it. But please, do not try to play the game while commanding a moving car. That’s what a 28-year-old man from Auburn, New York did last week, and sure enough, his car ended up wrapped around a tree. He wasn’t seriously hurt, thankfully, but the car is totaled—and in hindsight, it probably wasn’t worth racking up another Pidgey or Rattata. Playing Pokémon Go is surely one of the worst forms of distracted driving, so stay smart when behind the wheel. Not here. Please don’t play Pokémon here. 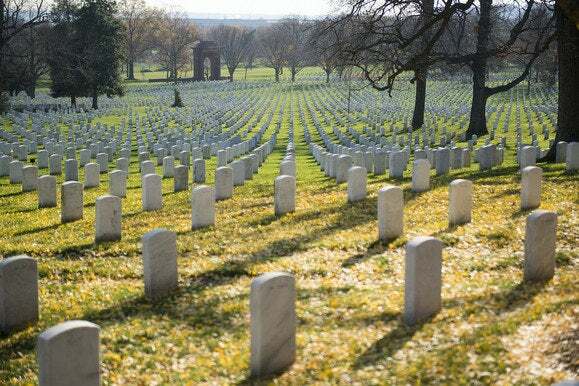 Don’t disrespect the dead: While many parks and monuments have embraced the excitement around Pokémon Go to try and draw more visitors, some public destinations aren’t as thrilled about people playing it anywhere and at anytime. Those places include the United States Holocaust Memorial Museum and Arlington National Cemetery. Yeesh. That ought to turn your stomach a little bit. 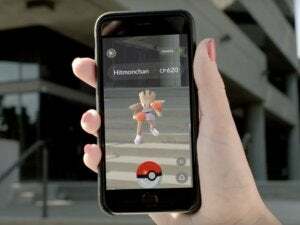 Both sites noticed visitors playing and were quick to condemn their actions via social media and news stories, with the Holocaust Memorial Museum’s director of communications Andy Hollinger telling CNN, “Playing Pokémon Go in a memorial dedicated to the victims of Nazism is extremely inappropriate.” He’s got a point. Keep it in your pocket, please. Don’t get robbed at gunpoint: Let’s be fair: These kids didn’t ask to be robbed, and you can’t always anticipate what other people are going to do. On the other hand, you’ve got to keep your wits about you even when playing, and especially when doing so outside at 2:00 a.m. Sadly, a few people in the St. Louis area were robbed at gunpoint last week while playing. The plan was kind of ingenious: The alleged perpetrators, all teenagers, dropped a lure at a PokéStop to bring in nearby fans. Unfortunately, what the victims found wasn’t as joyous as expected. 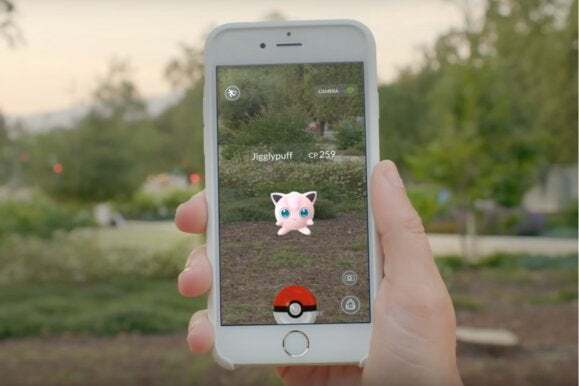 The four teens were arrested, while everyone who sees the story should be reminded to be careful and use a little common sense when Pokémon hunting in the wild. Don’t deface a national park: In other words, don’t be a terrible person. 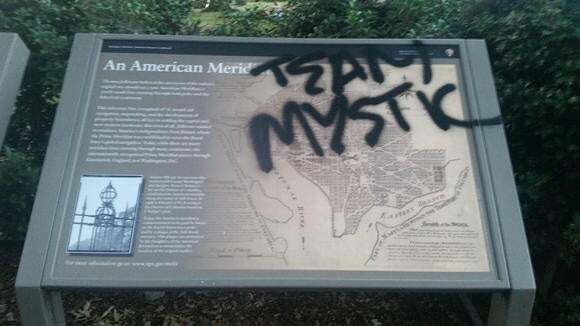 According to a photo posted on Reddit, someone spray-painted “Team Mystic” on a historical sign at Meridian Hill Park in Washington D.C. Team Mystic, of course, is the blue alliance in the game. It’s incredibly childish and amateurish, and thankfully it doesn’t speak for the mentality of the vast majority of us who respectfully wander our cities and parks while playing. Internet commenters may not agree on the best team in Pokémon Go, but at least they’re widely on the same page about this being a totally crappy thing to do.